Prefer the finer things in life? 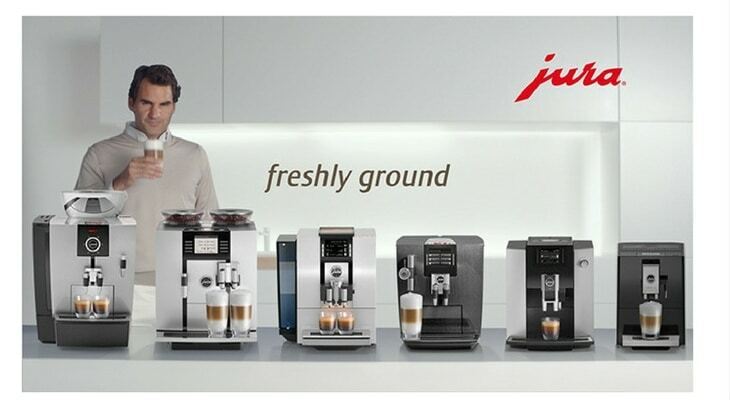 If your answer is yes, then a Jura coffee machine will provide you with the perfect blend of style and Swiss precision. The company was founded by Leo Henzirohs in 1931, and started manufacturing premium bean-to-cup machines for home use in the mid 1980s. Having sold over 4 million units, the Jura name is associated with innovation, quality and expertise. The brand has won numerous awards including the prestigious Red Dot Design Award. With such a wide array of appliances on the market, it can be daunting choosing the right one for your needs. 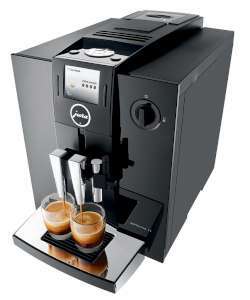 So read on to discover the very best from this experienced manufacturer in our Jura coffee machine reviews. Sold in Black with Chrome details, the Jura ENA Micro 1 is an ultra-compact model, so it won’t take up much space on your worktop. Its touch panel operation allows you to choose up to 3 cup sizes and 2 aroma levels (coffee strength). And it will prepare coffee, espresso, ristretto (strong espresso). Verdict: The Jura ENA Micro 1 is a good choice if you want a Swiss-quality machine, especially if you don’t need all the bells and whistles. Full review coming soon! 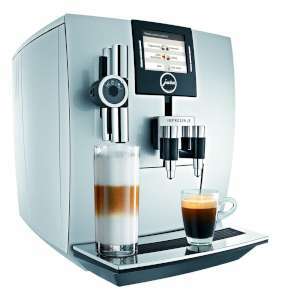 The Jura Z9 oozes luxury and is packed with advanced features, such as TFT colour screen that allows you to select type of drink, strength, temperature, volume and much more. And it uses Fine Foam Technology to ensure milk foam is perfect and not like a volcano erupting. It comes in a choice of Black, Chrome or Aluminium. Verdict: The Z9 might be a little expensive, but it is an all singing, all dancing machine that should give you years of pleasurable service. Full review coming soon! Boasting the world’s first P.E.P. (Pulse Extraction Process) to create barista style espresso or ristretto at the touch of a button, the Jura E6 produces delectable coffee every time. Featuring 7 pre-programmed specialties, you can have your preferred drink at one press of a button. 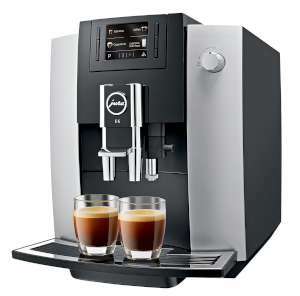 The design is sleek and modern, and this more affordable machine still has most of the trappings of Jura’s pricier models: including smart connect wireless options, integrated milk frother, thermo-block heating and 15 bar pump. Using only fresh roasted coffee beans, and the supplied milk frother, you can effortlessly create a variety of coffee beverages in the comfort of your own home. Verdict: The Jura E6 is a feature-rich fully automatic machine that produces barista quality coffee using its unique Pulse Extraction Process. 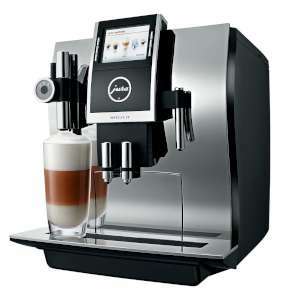 Good value for money when compared to other Jura models. Styled in Piano Black, the Jura F8 looks impressive with its clean lines and 2.8” TFT Colour display. Using the scroll wheel you can program and select from 13 different drinks with your 4 favourite ones appearing on the first screen. Verdict: The Jura Impressa F8 is an award-winning machine with many high-end features and functionality, so it is certainly worth consideration. If you are looking for some bling in your kitchen then the Jura F9 in Silver will look the part. It features the Aroma+ conical grinder, which grinds your favourite beans fast whilst retaining the all important flavours. And of course, it’s fully programmable and will prepare pretty much any coffee drink you might fancy. Verdict: The Jura J9 is an all-singing-all-dancing machine and it well worth a closer look. 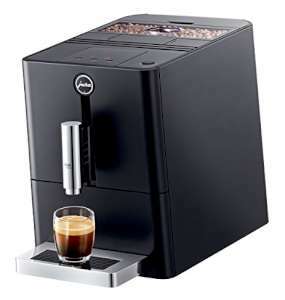 The range of appliances available in our top five Jura coffee machine reviews are an investment for the true connoisseurs of coffee: an investment which will pay off when you stop buying your daily barista-made brew from the local coffee shop, and use your own state of the art machine at home. Although the top five machines all vary slightly, they all feature Jura’s famed attention to detail, technological advances, simplicity, choice and control. For the serious coffee lover, this is a kitchen upgrade you’ll appreciate for years to come.